Today EA announced another Closed Beta for their upcoming city simulation game, SimCity. Like the first Closed Beta from the last week of January, the version of the game that will be available to play will have several of the more advanced features locked out and a one hour time limit before the game boots you back to the title screen. Still, that one hour is enough time to get a feel for the game. Check out our impressions of the first Closed Beta. If you want to apply to participate in the SimCity Closed Beta 2, head on over to the Beta Signup page. Registration closes on February 11th, so don’t delay. If you are selected to participate, the SimCity Closed Beta 2 will be playable for 24 hours from 1400GMT on February 16 to 1400GMT on February 17 (Greenwich Mean Time). For players of the first Closed Beta, the old client will not be reused and can be safely uninstalled. Also, a new game key will be required to play, so you might want to sign up again. The Heroes and Villains set allows the player to fill their city with organized crime. Of course, the police squad will need a superhero to deal with those criminals. Plop down a Super Hero HQ and let justice prevail! SimCity will be released on March 5th, 2013. 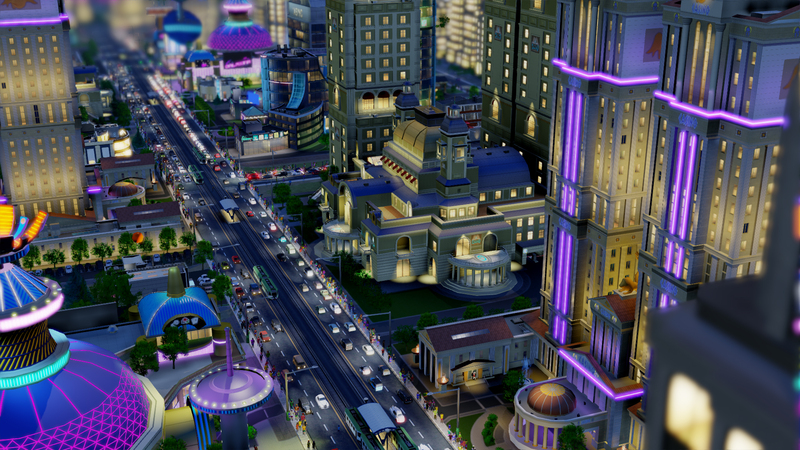 Check back after the game launches for the Gamer Horizon review of SimCity. Is the new SimCity game a downgrade from SimCity 4?